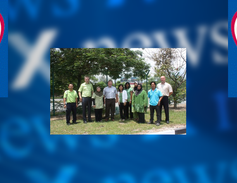 TROX Newscenter | TROX Malaysia Sdn Bhd. 21st March is "World Down Syndrome Day"
The local Down Syndrome Association has celebrated this special day by organizing "Buddy Walk" event. TROX Care Committee Members …Introduction…. TROX Care's very first activity was E-Co Friendly Day which was held on 25thSeptember 2012.